What is the Best Age to Begin Saving for Retirement? The best age to begin saving for retirement will be different for each person. Some are in a position to do it earlier in life, while others are unable to start until years later. You will be better off if you can start as early in life as possible, but that doesn’t mean that delaying contributions will prevent you from having a comfortable level of retirement savings. Let’s take a look at the pluses and minuses of beginning retirement savings at various benchmark ages. This is the time in life that most financial planners would say that you should begin saving for your retirement. And in a perfect world, this is when everyone would start saving for retirement. Alas, this is not a perfect world, and whether or not you actually begin saving at this point will depend on where you are in life. Plusses: There’s no doubt that the earlier you start the more successful your retirement savings will be. For example, if you are right out of school (age 22), earning $30,000 per year on your first job, you contribute 10% of your pay – or $3,000 per year – into your retirement plan, and assuming a 3% annual increase in pay for your lifetime and 8% annual rate of return on investment, by the time you’re 65 years old you will have nearly $1.5 million saved. In addition, you’ll be getting into a good savings habit early and putting away enough money that if you do have to take a break from retirement savings at some point in the future your retirement will still be covered. Minuses: As good as that all sounds, beginning your retirement savings right out of high school or college won’t work for a lot of people. For one thing you probably have some debts that needs to be paid and they’re cutting deep into your cash flow. For another, there are probably a lot of things you need to buy to get started in life, in addition to the need to build up some non-retirement savings at least for emergencies. And sometimes when you’re just starting out in a career field you don’t have the kind of job stability that easily tolerates long-term savings plans. Also, at this very early stage in life, many people just aren’t thinking too much about retirement! This is the age where you really need to start thinking about getting into a retirement plan. You may have missed a few years of contributions that would’ve helped in the long run, but it’s still not nearly too late. Plusses: At this point life, you’re still not completely comfortable with your position in life but you’re definitely out of the starting gate. You’ve probably pay off some debt, put away some money for emergencies and you’re probably making more money than you did right out of school. Again let’s assume that you will earn an average of 8% on your money, your income will grow at a rate of 3% per year during your career and you’ll begin putting away 10% of your income each year for the next 40 years. The only difference is that you’re now making $40,000 per year. By the time you turn 65 you will have accumulated more than $1.5 million. The delayed start has caused you to lose nothing up to this point. For many people this is the best time to begin saving for retirement. Plusses: For many people, this is the age at which life begins to settle down into long-term patterns. This is especially true if you married and had children and bought your first home when you were in your 20s. You’ve already absorbed the cost shock of those additions to your life and you’ve gained some control over your budget. Let’s take the same retirement savings assumptions that we used the two previous examples, but now you’re earning $60,000 per year. If you save 10% of your annual pay, by the time you’re 65 you will have nearly $1.5 million in your retirement plan. Because of the higher income that you’re earning at this age, the delay in retirement savings still hasn’t hurt you. Minuses: By the time you’re 30 it may be difficult to establish the savings habit now that you’re spending patterns are largely set. This will be especially true if you have a family and own your home. Though you’re making more money than you were earlier in your life, your expenses have risen in step. Many people are financially well established at age 35 making it the ideal age to begin saving for retirement. Plusses: Your biggest advantage here is that you’ve entered the peak earning years of your life. Using the assumptions that we used in the previous examples except that now your making $75,000 per year, if you contribute 10% of your pay annually you’ll have more than $1.8 million by the time you reach 65. Clearly the delay has not hurt you up to this point. Minuses: It’s ironic that it’s when you enter your peak earning years that you also become vulnerable to job losses. The retirement savings amount we determined above is entirely dependent upon your maintaining that income level (and progressively better) for the next 30 years. If that doesn’t happen, you’ll have less saved than what we’re projecting, only you won’t have the large established balance that you would have had if you would started your retirement contributions earlier in life. Final analysis: you can still do it, but there’s less room for error as you get older. What if you’re 40 years old or older and haven’t done anything about retirement savings thus far? Does that mean that there’s no hope for you? Not at all! You’ll probably need to lower your expectations. You may not have as comfortable a retirement as you might want, but the situation is far from hopeless. Let’s say you’re 50 years old, you’re earning $50,000 per year, and you decide to save 15% of your income each year, and delay your retirement to age 70. By the time you reach that age you will have nearly $450,000 saved. That, plus Social Security income, and some income from a part-time job or business venture can provide a very comfortable semi-retirement. 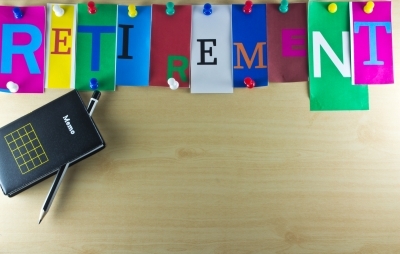 Not the retirement you may have envisioned, but far from a bad outcome nonetheless. What do you think is the perfect age to begin saving for retirement? Roth Vs Traditional IRA: Which One Is Best For You? When the idea of saving for retirement comes up, many people wonder whether a Roth vs Traditional IRA is better for them. There are many similarities between these two investment vehicles, but there are also enough differences to make this question a little more difficult than it seems. Both a Roth and Traditional IRAs can be great options when it comes to saving money for retirement and a viable alternative to private or stakeholder pension plans. Before we take a look at Roth IRAs, let’s look at a couple of quick points regarding traditional IRAs, so you can better decide which may be the best retirement plan for you. One of the greatest benefits of a Traditional IRA is the fact that your contributions can grow freely, with the taxes that you owe being deferred until the money is distributed. This means that you receive the benefit of compound interest on all of our contributions, gains, and other earnings! In most cases, the contributions that you make into a traditional IRA are fully or partially deductible – depending on your circumstances. That means that your taxable income is reduced by the amount that you contribute to a traditional IRA (if it is fully deductible). An IRA usually provides more freedom than an employee sponsored retirement account when it comes to your investment options. You can invest in individual stocks, bonds, mutual funds, CDs, and even real estate! This helps to make an IRA an extremely attractive retirement vehicle. You cannot keep funds in a traditional IRA indefinitely. Eventually they must be distributed. If there are no distributions, or if the distributions are not large enough, you may have to pay a 50% excise tax on the amount not distributed as required.If you are the owner of a traditional IRA, you must generally start receiving distributions from your IRA by April 1 of the year following the year in which you reach age 70½. That’s right – if you do not start withdrawing money from your account, the IRS will charge a 50% tax on the amount that should have been distributed! Before you become too outraged, remember that you received a tax deduction on your contributions, and you are not required to pay taxes on any gains until they are distributed. If you kept the money in your account indefinitely, it would never get taxed…there is no way that Uncle Sam will allow that! You can read IRS Publication 590 (link to online version) in order to gain more information about Traditional IRAs, including calculating the required minimum distribution. In looking at the “battle” of Roth vs traditional IRAs, there is no need to compare the investment opportunities since they are exactly the same. Unlike their counterparts, Roth IRAs do not give you a tax deduction upfront. 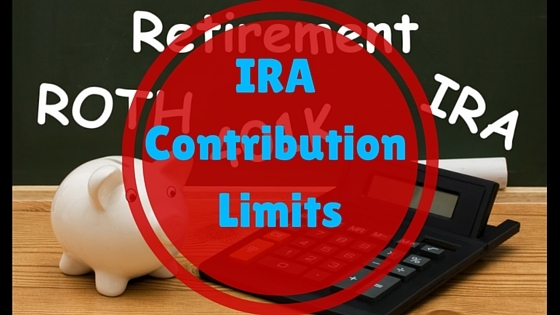 This means that you will have to reach the IRA contribution limits with without the benefit of reducing your taxable income for the year. Like the traditional IRA, your contributions, gains, and earnings will grow without being taxed – allowing compound interest to kick in! However, since your initial contributions were made with taxed dollars, you do not have to pay taxes when you take a qualified distribution from the account!!! What this means is once you put money into a Roth IRA, you will never have to worry about paying taxes on that money (as long as you satisfy the requirements). For one thing, you have to keep your contributions in the account for at least five years before you can withdraw them with no penalty. Of course, since it is a retirement account, keeping the money invested for more than five years shouldn’t be a problem. Another thing to consider with Roth IRAs is that you can make contributions to the account even after you turn 70 1/2 (something which you cannot do with a traditional account). On top of this, you are also able to leave amounts in your ROTH IRA for as long as you live. There are no required minimum distributions, and no taxes assessed for failing to make withdrawals – since the initial contributions were already taxed. Roth Vs Traditional IRA – What’s Best For You? At what stage in your life will you be paying lower taxes? If now, then go with a Roth and pay lower taxes on your contributions, rather than paying taxes on your distributions when you are paying at a higher rate. If your lower taxes will come in retirement, then go with a Traditional IRA to get the tax break when your taxes are higher, and pay taxes on your contributions once you are in a lower bracket. There are a couple of things that will affect your tax rate both now and in retirement. The tax code – will future administrations raise taxes in order to pay for government spending? Your income – will you have more taxable income now or in retirement? The answer isn’t as obvious as it might seem. The amount in your retirement accounts – if you have a take several required distributions from large accounts, that can easily push you into a higher tax bracket. There are other things to consider but since they are pretty much impossible to quantify, we will leave them for another discussion. Based on your situation, which IRA is best for you? What do you think about having one of each? At what point did you/will you start saving for retirement? To be eligible for the credit you must have been born before January 2, 1992, you cannot have been a full-time student during the calendar year and cannot be claimed as a dependent on another person’s return. If you make eligible contributions to a qualified IRA, 401(k) and certain other retirement plans, you may be able to take a credit of up to $1,000 or up to $2,000 if filing jointly. The credit is a percentage of the qualifying contribution amount, with the highest rate for taxpayers with the least income. Another thing to realize is that when you are figuring this credit, you generally must subtract the amount of distributions you have received from your retirement plans from the contributions you have made. See Publication 590 and Publication 4703 for more information.